Individual travellers, whether choosing self drive or guided touring, are often overwhelmed by the number of hotels, lodges and camps available, as well as the best routing suited to their particular needs. Our team of Africa experts can tailor make a safari adventure that lives up to expectations and which can turn wishes into an African safari reality. A selection of our favourite safari destinations below highlight some of Africa’s game and sightseeing wonders where encountering the Big Five is just the beginning of an unforgettable holiday. From the largest natural gorge in Africa to the splendour of Etosha National Park this itinerary can be easily self driven, however, is recommended with a driver guide as distances in Namibia are vast and can be misleading. Windhoek, the capital city of Namibia, features many attractions depicting the time of German colonial occupation – the Tintenpalast built by the Germans in 1912 and which is now home to both houses of Parliament; the Alte Fest (Old Fortress) which houses the State Museum, and the Christuskirche, dedicated in 1910 as the Church of Peace. En route to the Fish River Canyon, a stop over in Keetmanshoop is recommended to view the Quiver Tree forest, so called because the Khoisan used quiver tree stems to make holders for arrows. The second largest in the world, and Africa’s largest, the Fish River Canyon is both spectacular and surreal, with the intermittent Fish River flowing at its base. A stay over at Ai-Ais, the very hot hot springs at the base of the canyon is recommended to soothe weary muscles after a day of walking to the various viewpoints around the canyon’s lip. Travel via Aus looking out for the feral horses on the road to Ludertiz, whose forebears are thought to have been set free by the German Schutztruppe. Spectacular German colonial architecture, penguins, seals and a Dias Cross await in Luderitz. Also not to be missed is a visit to the ghost town of Kolmanskop, built in Luderitz’s diamond heyday. 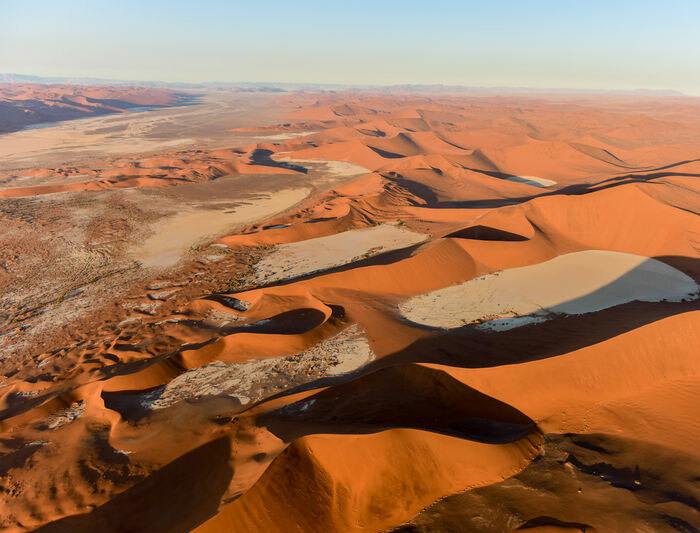 Home to the largest sand dunes in the world, Sossusvlei and Dead Vlei, in particular, are best viewed in the early morning before the heat of the day. Nambia’s favourite seaside resort, Swakopmund is the springboard for sightseeing to Walvis Bay where a boat trip in the harbour and lagoon will bring you closer to its estimated 40 000 birds and other marine mammals. A scenic drive to the Welwitschia Plains to see these thousands of years old plants is not to be missed, or partake in the many adventure activities available from Swakopmund, including flights over the Skeleton Coast. In the vast arid space of Northern Namibia lies one of Southern Africa’s best loved wildlife sanctuaries. Etosha National Park offers excellent game viewing in one of Africa’s most accessible venues. Zebra and springbok are scattered across the endless horizon, while the many waterholes attract endangered black rhinoceros, lion, elephant and large numbers of antelope. Return to Windhoek for overnight before departure the following day, or extend your stay into Damaraland for a cultural interaction with the nomadic Himba. Zimbabwe is a premier safari destination of stunning natural beauty where the gracious kindness of locals will make any trip unforgettable. The diversity and volume of wildlife is exceptional and, sometimes, to be found quite literally on your doorstep. 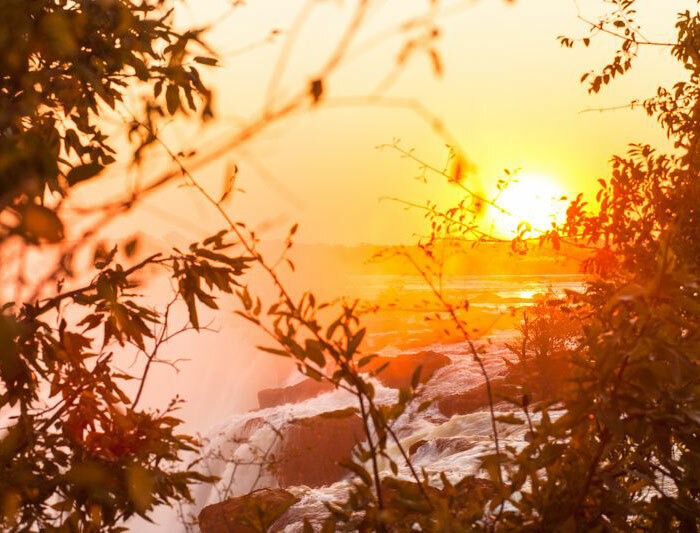 World class accommodation, highly trained quality guides and the breathtaking UNESCO World Heritage site of the mighty Victoria Falls, makes Zimbabwe one of the Africa’s must see destinations. A classic safari which includes some of Tanzania’s game viewing highlights. 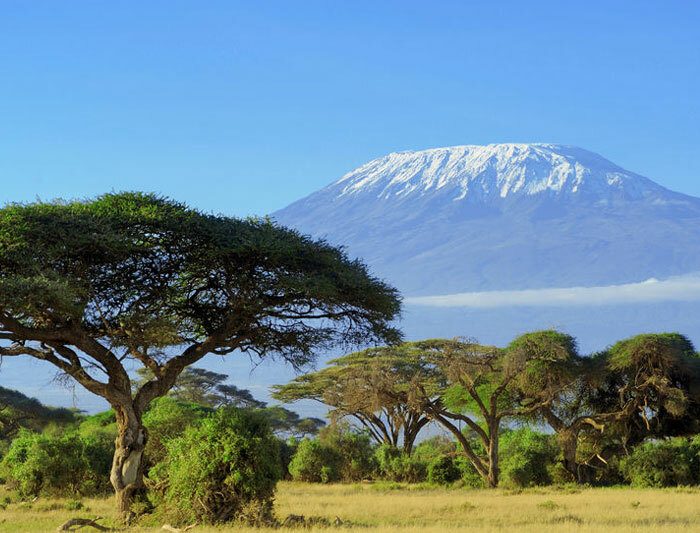 Transfer on arrival at Kilimanjaro Airport to a lodge or hotel for overnight. Depart to Tarangire with a private safari vehicle and guide. Tarangire has a habitat unlike any other Tanzanian national park and is famous for its elephant migration, birding and quiet authentic safari atmosphere. Famous for its tree climbing lions, flamingos, breathtaking scenery and soda-ash lake in its centre, a visit here for the day is well worth the effort. The Serengeti is arguably Africa’s most famous park. Renowned for its concentrations of predators and the Great Migration of two million wildebeest, the Serengeti guarantees an exceptional safari. The Ngorongoro Crater and surrounding highlands form one of Africa’s most beautiful regions and is the best place in Tanzania to see the Big Five. It is also an exceptional place to interact with the people of the Masai tribe. This self drive tour takes in the highlights of the Kingdom of Swaziland and the world famous animal kingdom of the Kruger National Park in South Africa. After collecting your rental vehicle at the airport in Johannesburg, drive to Pretoria for overnight. Time permitting, recommended sightseeing would be the Voortrekker Monument, built to commemorate the Voortrekker pioneers and their journey from the Cape, and the Union Buildings, home to South Africa’s parliament. Swaziland is a small landlocked monarchy known for its wilderness reserves and festivals showcasing traditional Swazi culture. Spend the time visiting the art and craft markets, enjoying the beautiful scenery and viewing wildlife in one of its national park. There are also a host of adventure activities such as river rafting, horse riding, hiking and rock climbing on offer. The Kruger National Park is one of Africa’s largest game reserves with a high density of wild animals, including the Big 5: lion, leopard, rhino, elephant and buffalo. Hundreds of other mammals make their home here as do a diversity of bird species. Accommodation options range from self catering units in the Park to the more luxury upmarket 5 star game reserves that border the park and which offer all meals as well as two game drives per day in open safari vehicles. 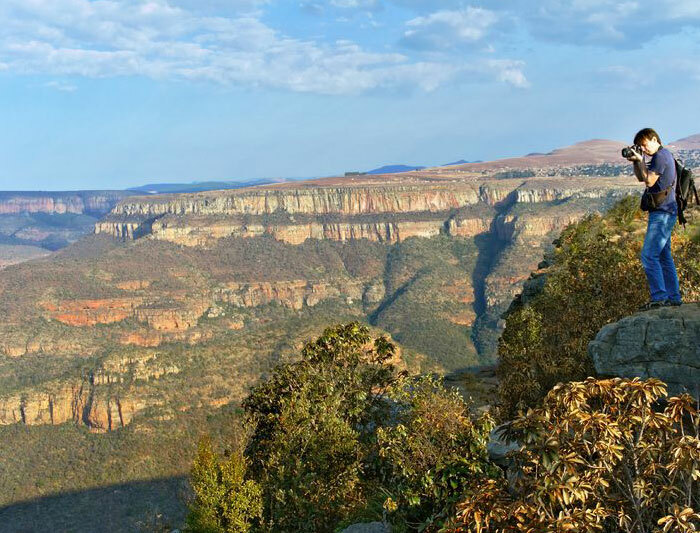 Depart the Park and drive through the majestic Panorama Route visiting the Blyde River Canyon, Three Rondavels and God’s Window to Dullstroom, a charming little town in the heart of the Highlands Meander. Return to Johannesburg, dropping off the rental vehicle at the airport, before departure.